Beltran doing a heavy shoulder press. Photo by Edward Lopez. Nate Beltran has been doing CrossFit for three years as part of an experiment he tried while working out one night. He previously did bodybuilding but found that CrossFit made him feel just as accomplished in the gym, if not more. “I was in the gym one night getting warmed up when I thought I should try doing something different. That’s when I called a friend of mine and asked him if he knew any CrossFit workouts for beginners,” Beltran said, explaining that he wanted to get something more challenging out of his workouts rather than just doing one movement at a time. “In all honesty, I was getting kind of bored with my traditional routine. I wanted something that made me feel like I couldn’t do it. After doing my first CrossFit workout, I fell in love with it ever since,” Beltran said. After his first night of CrossFit, Beltran started doing more research on different workouts “to start getting more and more advanced in the sport.” One Veteran’s Day, a friend of his gave Beltran a tough workout. “A friend of mine that has been doing CrossFit for years gave a workout called ‘Murph,’" Beltran said. Murph is a workout that consists of a one-mile run followed by one hundred pull-ups, two hundred push-ups, and three hundred air squats, followed by another mile, all done wearing a twenty-pound vest. “When I first did Murph, I thought I was going to throw up or pass out. It was nothing like I have ever experienced before... I was exhausted but I love all of it," Beltran said. 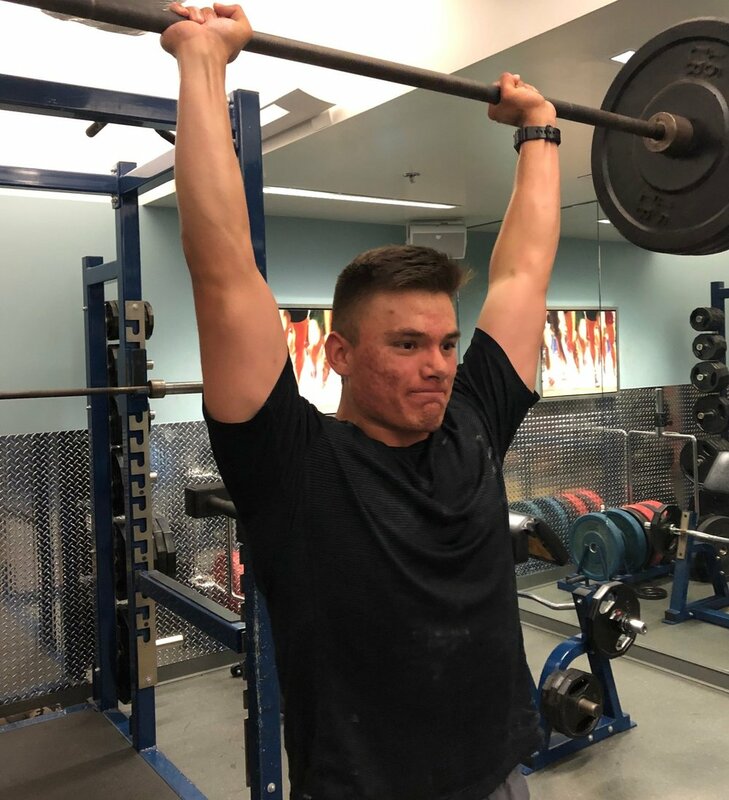 “I learned to eat better, and learned what foods would benefit me depending on what workout I’m doing,” Beltran explains that he learned that eating a little bit more carbs for a specific workout really benefited him. Beltran hopes that more people will join the CrossFit community and continue his fitness journey.